The Ministry of Minority Affairs proposes to public at large to avail benefits from a large member of welfare schemes run by the Ministry of Minority Affairs. 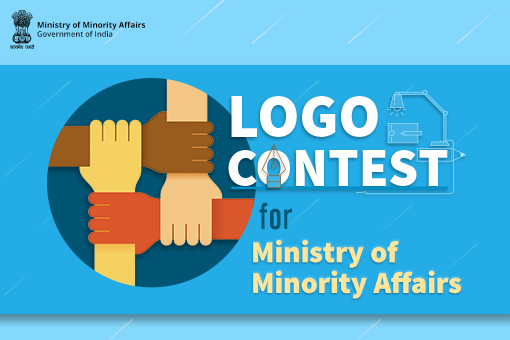 In this regard, the Ministry would like to create a Logo by means of a contest from the public for having a remarkable and unique identity of the Ministry. The Logo will be used by the Ministry in various promotional/publicity activities and remain property of the Ministry. The Ministry will give 1 first prize of Rs. 20,000/-, 3 Second prizes of Rs. 10,000/- and 6 Third prizes of Rs.5,000/- each. Committee of the Ministry will select Logos for prizes.